The “Baby Doll” collection takes inspiration from the 50s era style of elegant, flowy dresses and jodhpurs in black, beige and gray colors with luxe gold embellishments that is Jun Jun Cambe’s signature avant garde fashion. 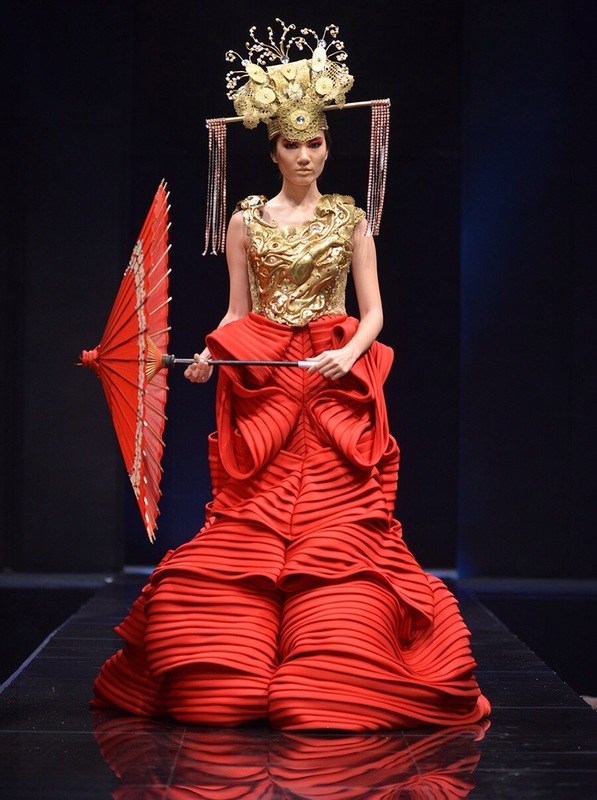 A fashion forward take on ancient Japanese culture and fashion, the “Katana” collection features suits, kimonos and dresses in midnight hues and striking red pumped up wiyh digital prints and gold platform shoes. 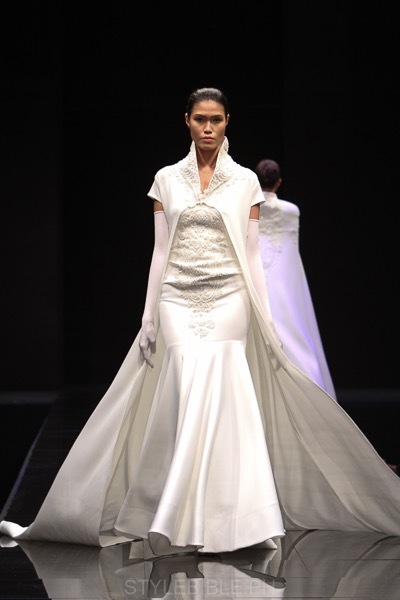 The couture take on Modern Sicily propels Philippine fashion ingenuity and sophistication with structured mesh in bold red, white and black dresses, jackets and jumpsuits. Lace and high fashion interplay in this “Contrasts” collection highlighting sheer glamorous appeal, and yes even for menswear too. Holiday blooms of pretty flowers peeking and elegantly placed on solid and color blocked dresses. Taking inspiration from Swan Princess the collection is dominated with houndstooth patterns and snug silhouettes in jet black and pearl white dresses, skirts and gowns.